Joget Workflow has enabled Morrison Academy to quickly and easily convert old paper-based workflows to an efficient online system. With schools located in multiple cities across Taiwan, staff are now able to submit forms and have them approved online. 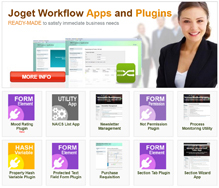 Using Joget Workflow saves our staff time and reduces errors. I highly recommend it.